‘Red October’ shakes things up with a fresh palette of colors. 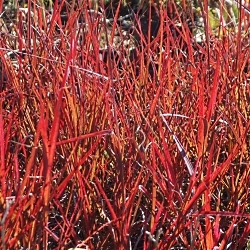 Foliage kicks off deep green with burgundy highlights in spring with the red shades becoming more prominent as the plant matures. Then, after first frost, foliage changes to a beautiful scarlet-red. It can reach up to 6 feet with red-tinted blooms. 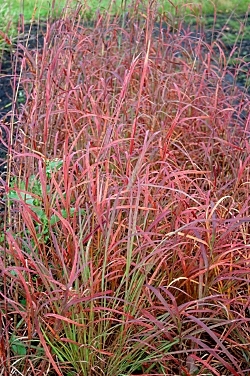 Combine Red October Big Bluestem with mixed perennials in the landscape and use its height and stunning fall color as an accent. It is also a great choice for meadows and naturalistic plantings.